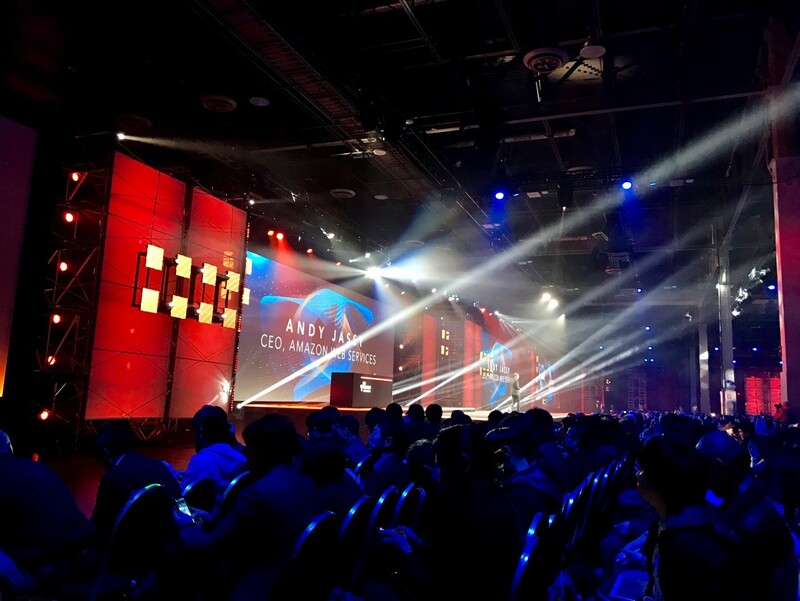 I have recently returned supercharged from the 5th annual Amazon Web Services (AWS) conference in Las Vegas. For those who were not able to attend I wanted to share some of the industry and technology insights with you. The event was bigger than ever before with around 32,000 cloud professionals in attendance. It was fantastic to see so much interest and innovation within the AWS and cloud ecosystem. That interest is not incidental – AWS recently announced their latest financial results for Q3 2016 and are nearly a $13B revenue business with 55% YoY growth. In 2014 AWS proclaimed cloud was the new normal while others still grappled with what cloud was going to bring to them or their customers. In 2015, the message from AWS was ‘organisations had control over their destiny’. This year, the theme for the state of cloud and the keynote address was that with AWS, it can feel as if you have super-powers. This stems from the idea that through the pace of innovation in AWS, you can take advantage of services that you never had before, giving you the ability to focus on building great applications. Their level of innovation is truly staggering. AWS is now deploying almost enough server capacity every day to support Amazon in 2005, when it was an US$8.5B Enterprise. That’s the equivalent of AWS adding a fortune 500 enterprise daily. AWS now span more than 70 products making using AWS more of a supermarket experience than a silver bullet use case. Behind the scenes, they have a world leading global infrastructure platform. Their global cloud-based products cover a broad range of areas from Compute to Storage, IoT to Big Data and Advanced Analytics. In terms of the latest technology announcements, AWS did not disappoint. 24 major new product announcements were made bringing a total of 1000 new AWS product features to market in 2016. That’s an incredible amount of innovation and execution upon idea. 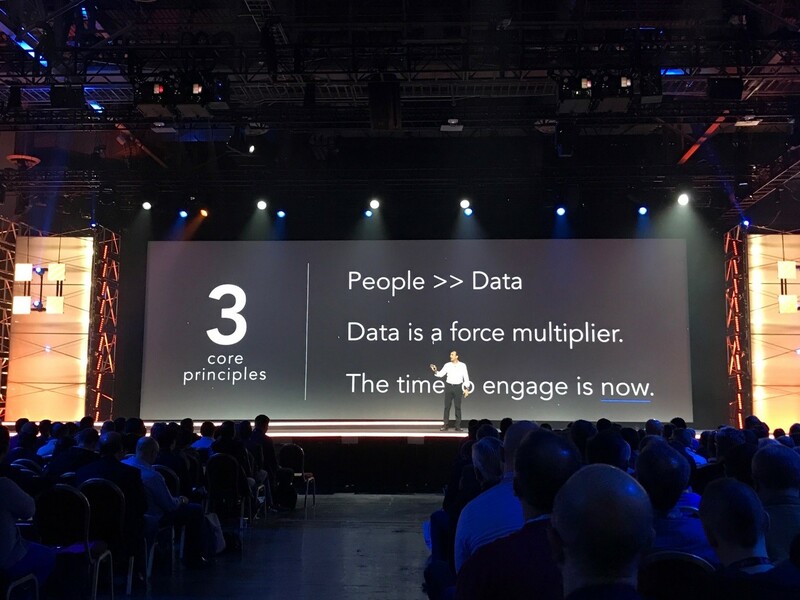 AWS CEO Andy Jassy used a super-powers theme to introduce the new range of AWS services – starting with ‘Super-sonic speed’ for the latest EC2 compute enhancements and then ‘X-Ray vision’ for the new AI and machine learning services. There were also super-powers of ‘Immortality’ for the latest database related developments and ‘Shape Shifting’ to support the current model of hybrid cloud. Within the wider conference, there were a number of mini-cons focused on the state of containers, big data, serverless and areas such as security. Myself and 4000 others attended the Global Partner Summit where eight new partner programs were launched. It was stated that companies are now certifying up to 50-100% of their organisations on AWS, at the applicable level to them for cloud-enabled business. New products and services are moving in the direction of PaaS and managed services. The mantra of ‘if its not your core business, don’t build and maintain it’ is becoming repeated and amplified across all these services. AWS enables you to focus on what you do well with your application as opposed to building a physical infrastructure to support it. The hottest trend from AWS, serverless computing. It is rapidly gaining use cases, the ecosystem and growing support for the architecture. New information was made available about how the recently announced VMware partnership will take shape and how it will be technically delivered. The interest in this was huge and this should set the stage for AWS / VMWare hybrid solutions becoming much easier moving forward. Security is as big a concern and focus for AWS as ever. They are fully aware of the potential risks to outages as organisations become more dependent upon cloud. Some of the announcements such as AWS Shield only look to strengthen the most recent industry security threats. “Software is a mindset, not a skillset”. This was a key statement made by AWS CTO, Wenger Vogals. Anyone that thinks AWS is a hosting company is mistaken. They have more than 70 product teams with individual roadmaps for innovation. This setup, along with the culture of DevOps and Open Source approaches are what enable AWS and organisations that use AWS to reach the level of innovation and revenue that we see today. Cost is still a common holdup from customers I discuss cloud adoption with in Australia with the statement that Cloud is not cheap. Moving to Cloud is not primarily a cost saving exercise. What is the cloud first and foremost about? It’s about scale. That might be Compute scale or Data scale. You can’t get to a global scale with legacy or traditional infrastructure management and software development approaches. It’s also about focusing on what differentiates your business, your product and not wasting time building and managing infrastructure. You will never be able to keep up, providing the capabilities and reach that someone like AWS can do for you. Cloud is also about agility. Need to try a new idea? Unlocking productivity and innovation is about being able to move from idea to production fast. The on-demand nature of AWS facilitates this model. Finally, we come full circle to cost. Running legacy application stacks and architectures in the cloud can be expensive. But that was Cloud 1.0. If you really want to take advantage of the cloud from a cost perspective then refactoring and decoupling your application architecture to the latest architectures such as microservices or APIs and using technologies such as containerisation or serverless – will transformation your cost and operational model significantly. As a Senior Consultant at Avocado, I have taken away valuable insights from the AWS RE:Invent that I will share with our clients. If you want to learn more about how Cloud or any of the above technologies can transform your organisation, please contact hello@avocado.com.au.